Hellen Bakhoff is boldly opening the doors of her newly established Auburn home and studio to the public on 12th November to share a new body of work featuring her soft sculpture paintings. 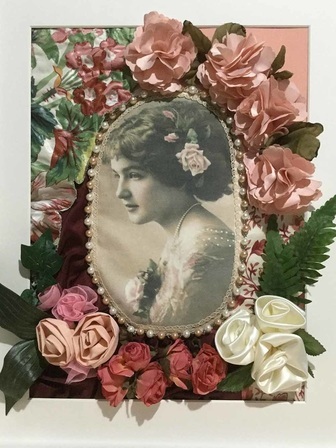 Hellen recently moved from Adelaide because she was overflowing her suburban home, and she now relishes the space that her Old Corn Store home and studio Linhay Gallery, afford her. Her love of fabric and embroidery has developed from an early age influenced by her mother’s and grandmother’s dressmaking and embroidery skills. Hellen recently completed a mentored painting program with Jacqueline Coates, a Kapunda based artist with an international following. In that time Hellen clarified her direction and is excited to show her new unique style. 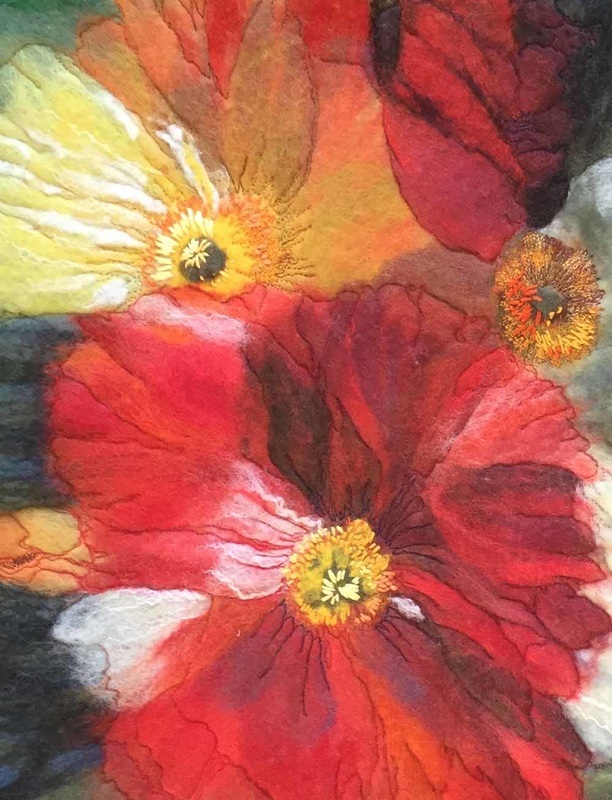 Hellen has also been developing her fibre and textile techniques through workshops with several South Australian and international artists and recently rebooted her love of textiles by taking on another dimension or two when she incorporated soft sculpture creating a playful dimension in the work and incorporating painting into the fabric and sculptures. A collaboration with a client who has a property in France, to create applique patches for some velvet arm chairs with a decorative theme lead to the idea for the current body of work incorporating vintage belles taken from old postcards, embellished with jewels and three-dimensional floral fabric sculptures with exquisite build-up of texture and colour. Important to Hellen is the concept of repurposing. She scours charity shops, the internet and her own treasure box for beautiful fabrics and vintage dresses on their last legs plus upholstery fabric samples being discarded by interior designers. Hellen is a bit like the magpies in Auburn, collecting glittering bits and pieces, in her case, the jewellery, buttons and fabric designs from the past to make into something new. 9.30am - 4:00pm Friday to Monday. Please Note: The gallery is closed during July. Reopens 4th August.